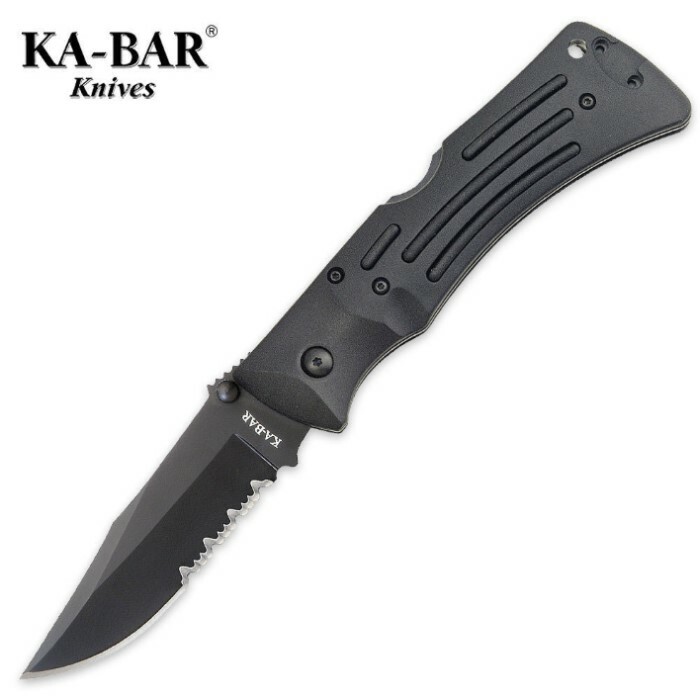 THIS IS THE BEST KABAR KNIFE EVER SO SHARP I CAN SHAVE WITH IT. Great knife, it feels very sturdy and heavy. Fits well in my pocket and cuts through things very cleanly. The rubber grips on the handle are a huge plus. Thanks True Swords!